A unique model for delivering value. 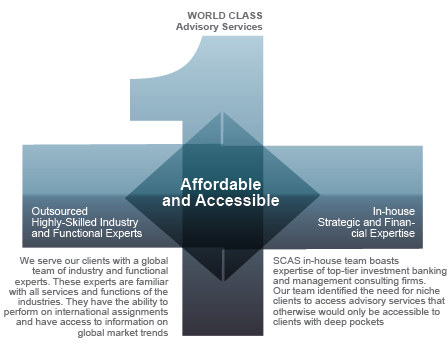 SCAS is a boutique consultancy with a unique service delivery model. We provide strategic and financial advisory combined with highly-skilled industry and functional expertise, making top-tier advisory services available to all our clients.